Director E.Kubarska used climbing expedition as a background to tell original love story. It was filmed on 2 separate expeditions to Greenland. First 2-person adventure (2007) – when actual story happened – was filmed during real-life action. Viewer has a chance to witness emotional scenes of real emotional breakdown, watch storm or follow protagonists in their primitve campsite. 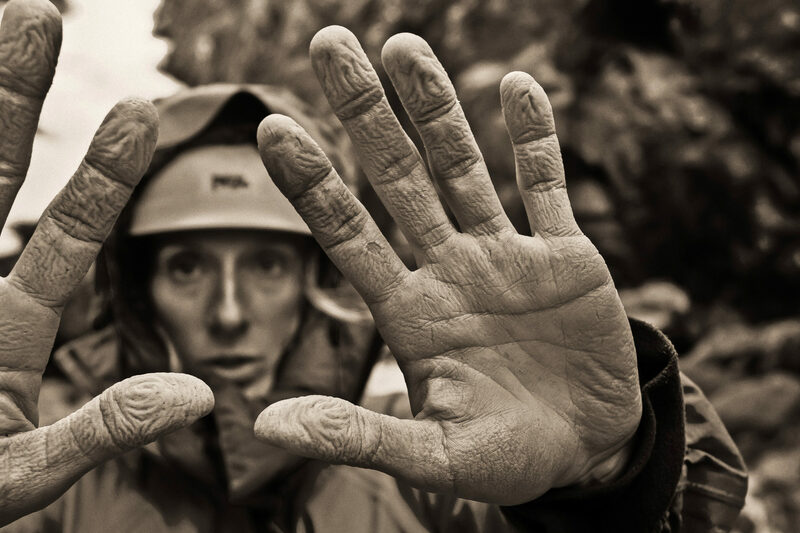 Second expedition (2009) – with cameraman and DoP, Łukasz Gutt – was organized to portray addtional climbing scenes and kayaking, impossible to film during first trip. As a result those scenes were filmed in multiple locations, in the fjords near-by but not necessarily on the original(2007) big wall climbing route. However, scenes contain real rock climbing (first ascents by protagonists as part of addtional exploration), including views from the actual huge cliff (e.g team “bivy” on narrow ledge ca.700m above the sea). 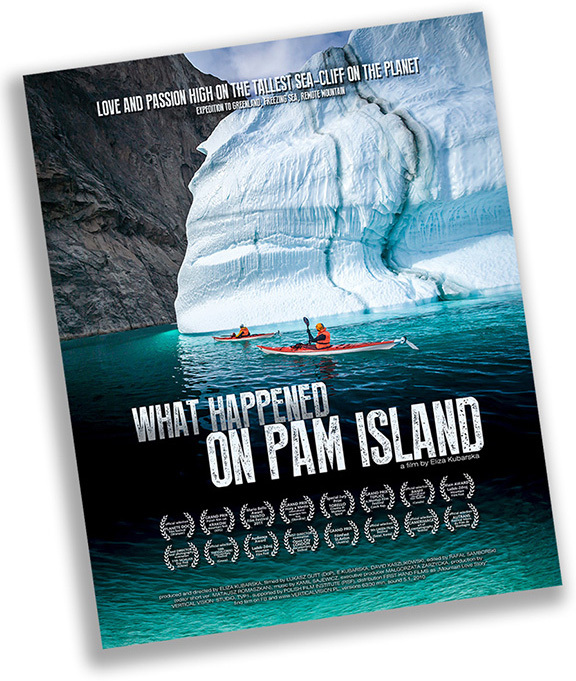 “What happened on Pam island” a.k.a “Mountain Love Story” (Polish title: Co się wydarzyło na wyspie Pam) is a winner of 11 international festival awards (inc. 4 Grand Prix). Film has been cooproduced by Polish TVP2, Vertical Vision/Eliza Kubarska and co-financed by Polish Film Institute (PISF). 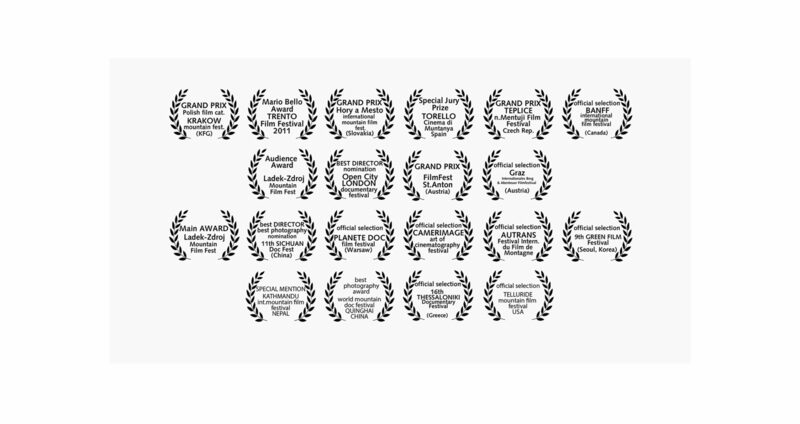 Distribution: First Hand Films. You can follow film at its FB channel.